Word on the street is that the new Dodge Challenger SRT Demon will be priced “well below the $100,000 mark.” We all know what really happens when the dealers set the pricing, but Dodge is hoping their personalized order system will prevent the crazy markups. According to Motor Authority, Dodge will only make a total of 3,000 Demons for sale in the American market, making it a much rarer beast than the Hellcat. The site spoke with Dodge boss Tim Kuniskis as to how the brand is trying to prevent dealers from gouging customers on the Demon. Kuniskis said that because each Demon will have a special serialized plaque on the dashboard that states the original Demon owner’s name, dealers will have to order each car for a specific buyer in order to get the car personalized. If a buyer decides to opt for the Demon Crate of performance parts as well, that crate will also be serialized. While Kuniskis knows he can’t tell Dodge dealers how to price their Demons, the fact that each personalized car needs to have a buyer before it is ordered should prevent some dealers from putting in allocations for a bunch of cars just to mark them up later. This isn’t the first time Dodge has attempted to put a lid on dealer markups. They had a system set up when the Hellcat launched that based allocations on how long the cars sat on the lot. The theory was dealers that marked their cars up would have them sit longer, and therefore would not get as many additional cars down the road. Unfortunately, some dealers in hot areas still put their market adjustments on the Hellcats. 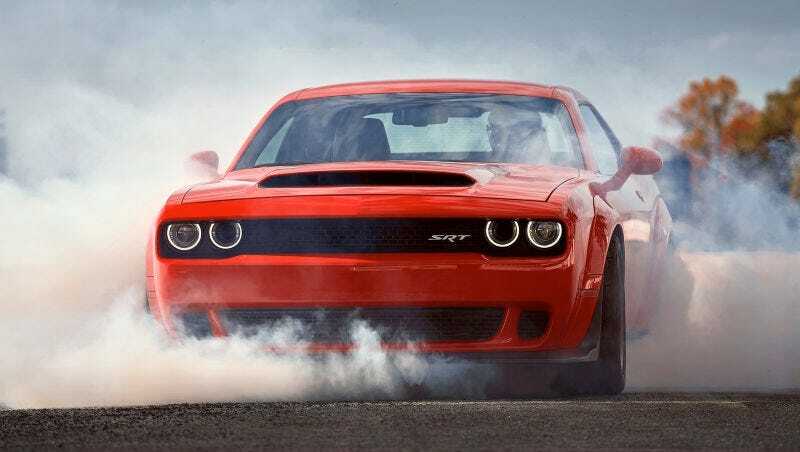 The Demon is the most-hyped muscle car since the Hellcat and there will be plenty of buyers willing to pay big bucks for the bragging rights. Maybe this plan will mitigate the price-gouging somewhat.